“Each of them must enclose a unique singing of the ones I hear at dawn, when the birds begin to chirp and butterflies pose on my baskets and shoiframeretty colors of their wings so that I can be inspired”. Christian Vivanco is pleased to present during Maison&Objet at Paris the result of his first collaboration with Nido Muebles, a company dedicated to the development an appropriate environment for children at home. The result of this project has the name “Traven”, in honor to a short story called “Baskets in series’ from the writer Bruno Traven which refers to the relationship between craft and industry of contemporary consumption. Designing for children involves a careful and sensitive approach, not only in terms of safety for the infant but also in seeking to resolve existing circumstances and moments in everyday life of a contemporary family, where children occupy a prime position. From this point of view Traven has been created. A set of furniture for children and parents composed of an armchair, a stool and a toybox. Each of these units contains guidelines defined by various factors including the design, choice of materials and the ability to adapt as needed. A key aspect in Traven’s development was the use of different materials and the transformation of social and environmental contexts. The application of wicker, certified wood, handmade wool and natural finishes, have guaranteed a product that is adaptable to any reality. 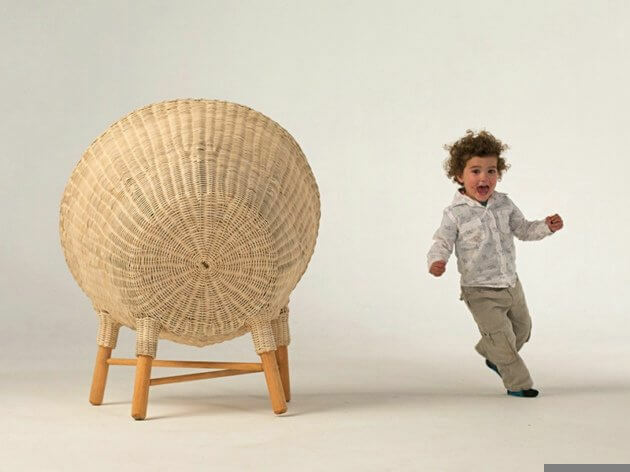 The Traven family is known for recognizing the importance of play time when using a piece of furniture; volumes and simple shapes propose different scenarios where children could live a different experience with each of the designed objects. Christian Vivanco seeks with Traven that children can live an experience through each of these objects. Traven wants to become part of these experiences, games, learning and leisure – objects that would become part of their childhood. The smallest of the family, and therefore the most dynamic. 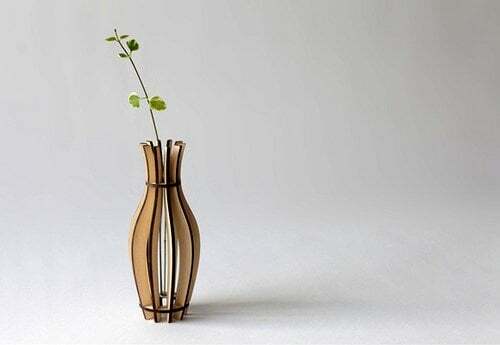 It is a small basket that allows keeping secrets and surprises inside. Materials: pine wood, felt, wicker. A big and generous space. Ideal for stimulating moments of peace and quiet for the child, providing a natural comfort through the use of natural wool cushions.